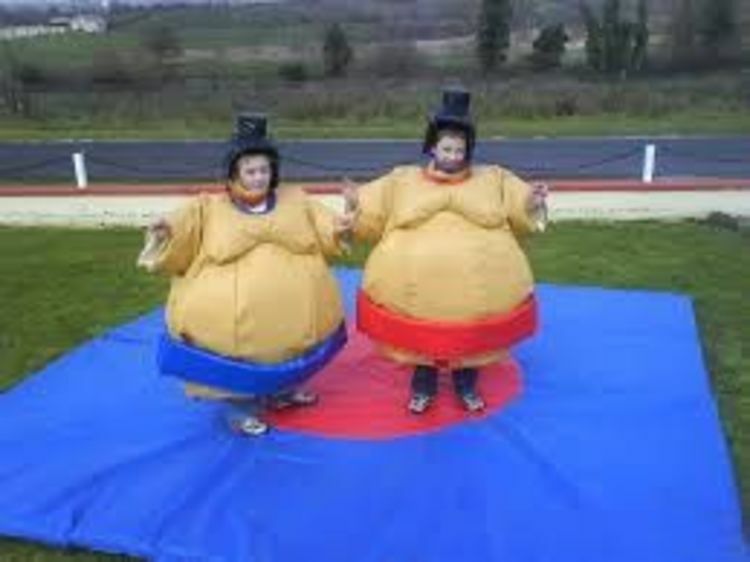 If you're looking for a bit of physical competition, then our sumo suits are ideal for you! We offer these as suitability for both adults and children however you must specify this at the time of order. The aim of Sumo Suits is to prove that you have more stamina, strength and wit than your opponent. Dodge Duck, Dive and move yourself around in order to not be forced out of the ring before your opponent. The match starts when indicated by a mutual player and finishes when either one person gives up or is forced out of the ring. Simple right? We can say without any doubt that they are a lot of fun and will make any event that you have coming up memorable.